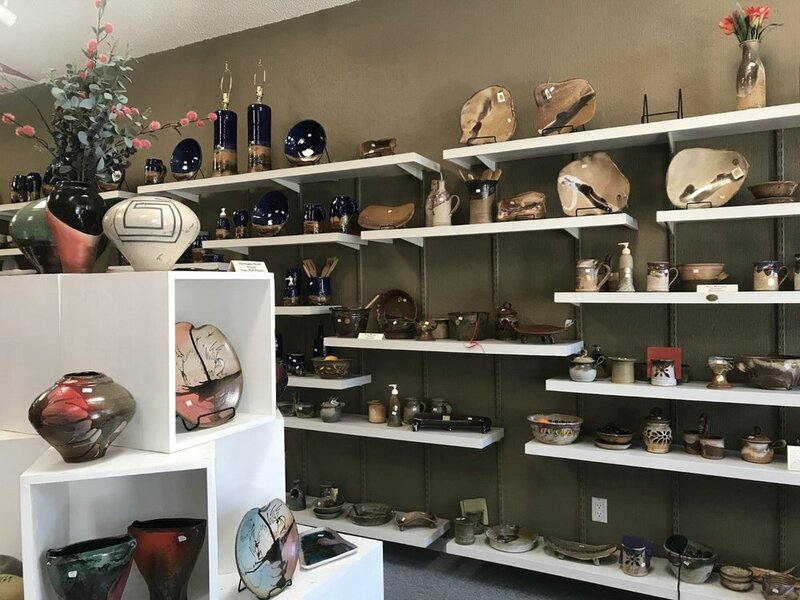 White Mountain Pottery is southern New Mexico's premier ceramics gallery showcasing contemporary handmade pottery from local and national artisans. Address: 2328 Sudderth Drive, Ruidoso, NM. Hours open: 10 AM to 5 PM 7 days a week. 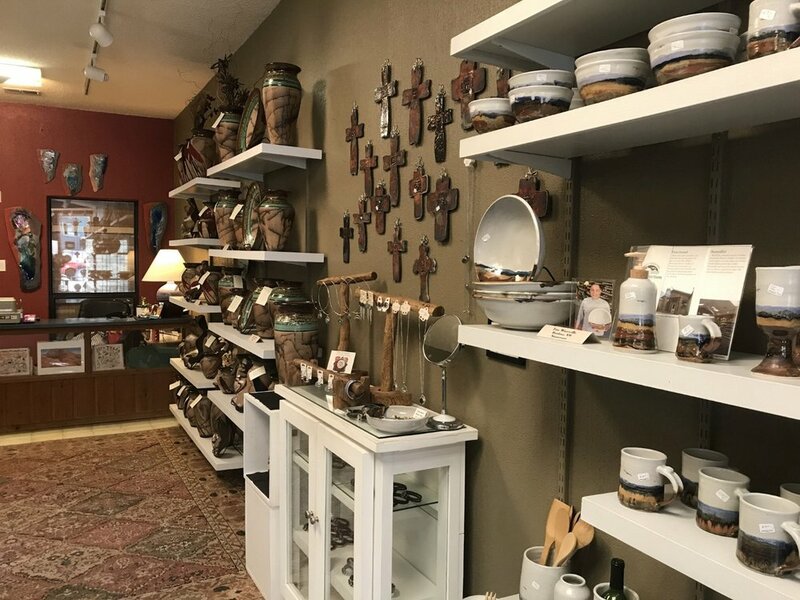 We've made it our mission since 1975 to connect our customers to a carefully curated selection of ceramic art. Get to know the personalities and creative processes of the ceramicists behind the art for sale at White Mountain Pottery. Corinna and Don Zimmerman and their dog Hershey at White Mountain Pottery. In October 2017, Corinna and Don Zimmerman became the new owners of White Mountain Pottery. Don and Corinna moved to Ruidoso in 2006 by way of the Pacific Northwest and New Zealand, where they'd met and married while Don (American) was traveling and Corinna (German) was working as a professional potter creating ceramic sculptures. Much of the next decade was spent crafting a custom mountain home in Ruidoso that Corinna designed and Don built. Together they form a vibrant and creative team whose inspiration and motivation comes from a passion to make and share something special. Very soon, Corinna will resume making her ceramic sculptures in a dedicated area of the shop.